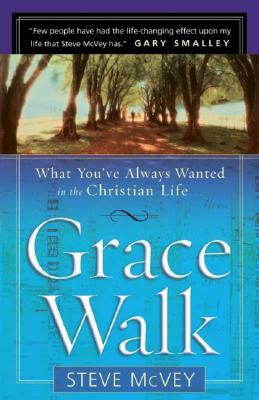 Now with a fresh cover The nearly 200,000-selling "Grace Walk "has helped thousands of believers leave behind the "manic-depressive" Christian walk: either running around trying to perform to be acceptable to God--or thinking they've failed Him again and wondering if they'll ever measure up. Living the "grace walk "gets Christians off this religious roller coaster. Using his own journey from legalism into grace, Steve McVey illustrates the foundational, biblical truths of who believers are in Jesus Christ and how they can let Him live His life through them each day.""